Team building for corporate. Joins us in team building and holiday parties for corporations. 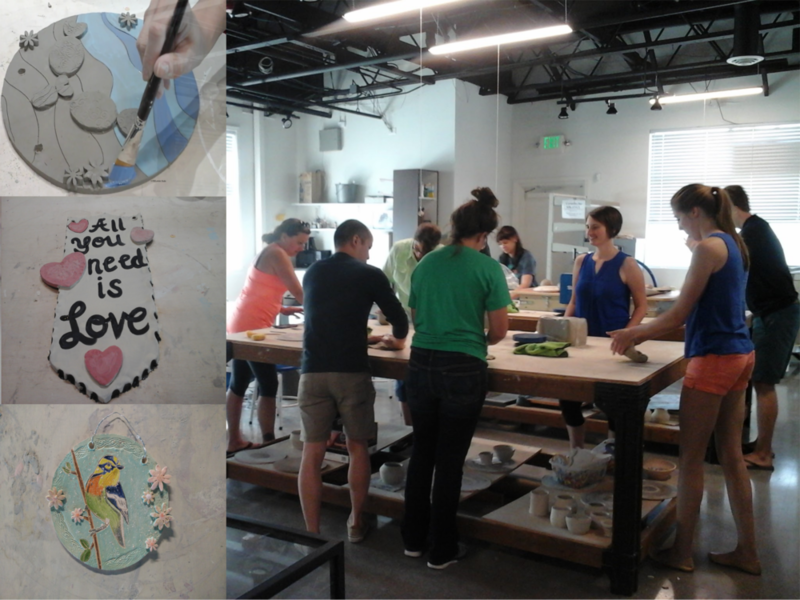 Team building with art pottery and glass activities. Team building activities at work is a great way to reduce employee stress, increase productivity and promote creativity in your business. Our painting, pottery, glass and ceramic activities are not only fun, it also helps communication, collaboration, and idea generation. Spending two or three hours in art activity is a great way to work on your business, brainstorm ideas and renew office morale! We will provide an opportunity to engage all participants playing a part in the entire team building exercise. Be ready for a fun, enriching, and effective team bonding and team cohesiveness workshop. Collaborative Art Project at your place or our studio! You’re only a brush stroke away from the fun, strategic focused and collaborative experience. Call us today to bring collaborative art project at your place of work or you can join us at our studio. A creative and involving exercise that will highlight the need for communication, collaboration, and organization across the group. Activities are suitable for many different groups and group sizes. Break it & Make it. Break it and Make it - A Glass Fusing workshop is an ideal journey for the beginner and for those who have taken beginning glass fusing classes in the past and would like to refresher lesson. With step by step instructions, you will learn how to break glass and to make an eight-inch beautiful contemporary fused glass basket or plate with fused and slumped glass techniques. Join us today. Pottery for team building is an entertaining and fun day out as a team building adventure. Join us to make a friendship bowl that involves all of you unknowingly contributing to making each others’ pot. Research shows activities like this increase team skills and communications, and improve morale and productivity. "Play with clay" bring art and team collaboration together. It is an ideal ceramics activity for the families and friends. With one slab of clay, you will create a beautiful piece of art. We will provide everything you need, the materials, tools, step by step instructions and assistance for clay and glaze.